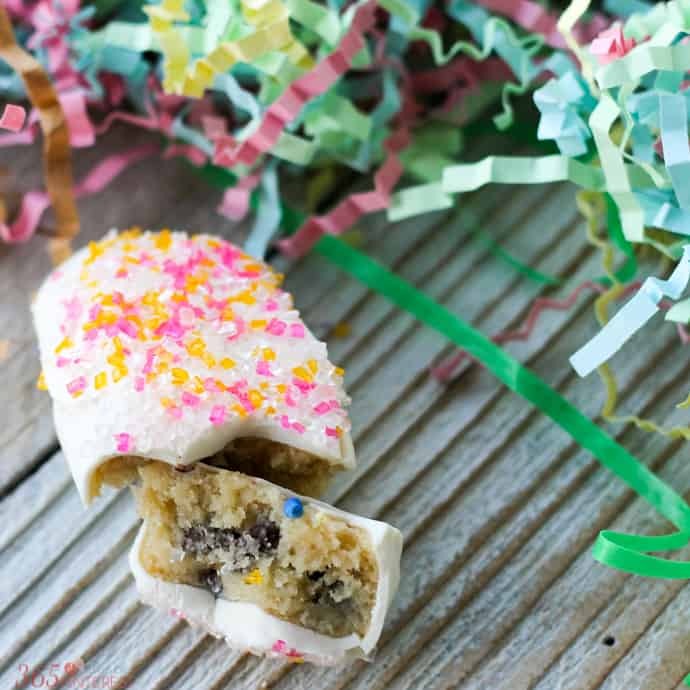 You don’t need the Easter bunny when you can make your own (way better) Chocolate Chip Cookie Dough Easter Eggs with this edible cookie dough recipe and some festive decorations! I was actually driving my FOREVER-long school pickup route when the idea for these popped into my head. I spent a lot of time thinking about how to get them egg-shaped. Should I use cookie cutter? I don’t have one that small. I don’t want to buy something new when I’m just trying to use up leftovers from another recipe! I wonder If I could press them into a plastic egg and shape them that way? But how would I get them back out without smashing them to bits? How does Reese’s make their peanut butter eggs? 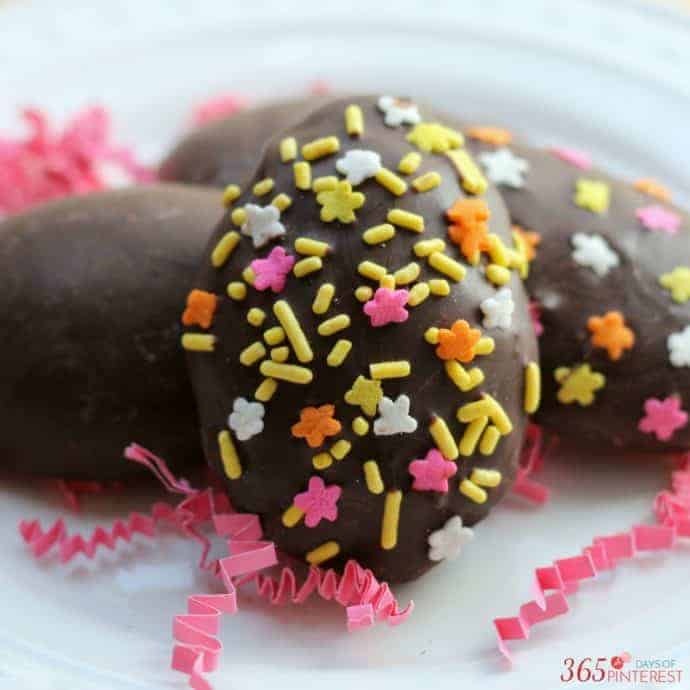 Wait a minute… Reese’s eggs are just a blob of “sort of” egg shaped goodness. If they can get away with it, why can’t I? After the cookie dough has firmed up in the fridge (at least 3 hours) cut the pan into equal portions and roll each piece into a ball. Gently smash the ball down to create an egg shape. If the dough gets too soft while you're handling it, place it on the tray and put it back in the fridge or freezer for a few minutes. 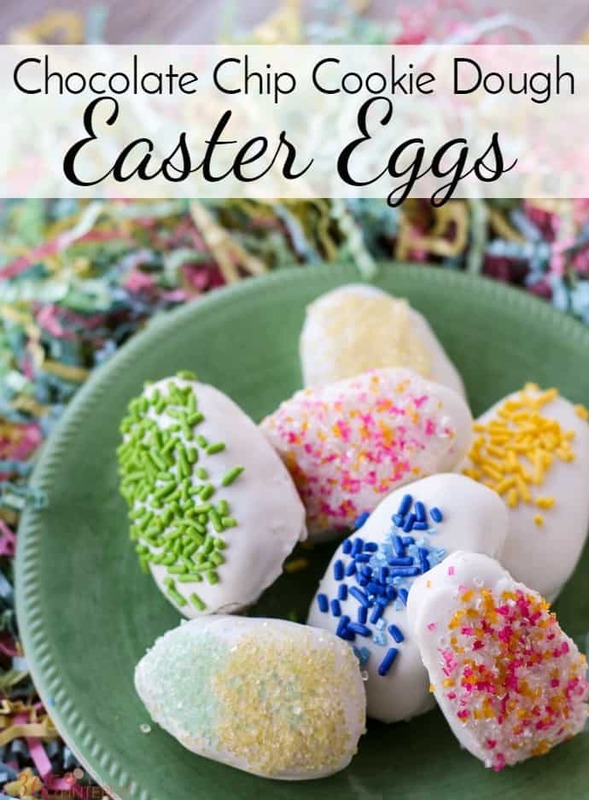 One at a time, place the eggs into the melted candy and coat on all sides. Lift with a fork and allow the excess candy to drain. 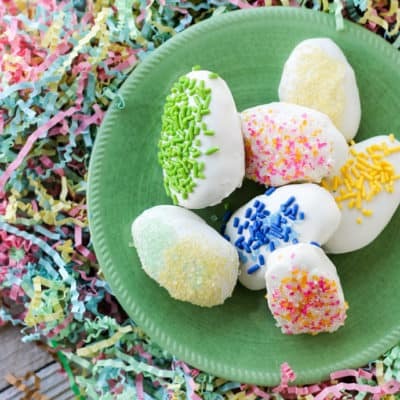 Decorate with sprinkles or colored icing. 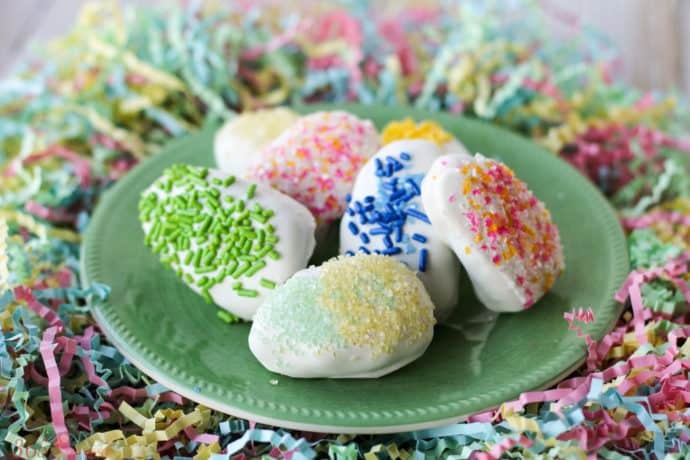 Place in the fridge to harden quickly. 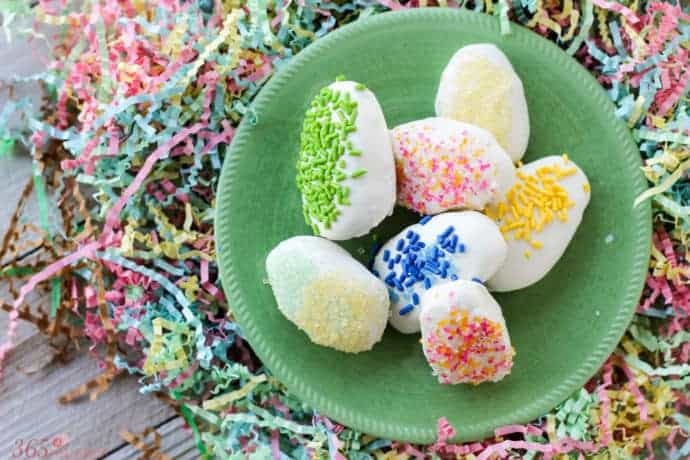 If you think these cookie dough Easter eggs are cute, try your hand at making Homemade Marshmallow Eggs!